More than 1.1 billion tonnes of blast furnace iron was produced globally in 2016. Blast furnace economics are such that larger units have lower unit production costs, hence there has been a trend to bigger and bigger furnaces. Modern blast furnaces produce more than 10,000 tonnes per day.  For general information about merchant pig iron, please visit the pig iron page. Modern blast furnaces produce more than 10,000 tonnes per day. upper part of the furnace - free moisture is driven off from the burden materials and hydrates and carbonates are disassociated. lower part of the blast furnace shaft - indirect reduction of the iron oxides by carbon monoxide and hydrogen occurs at 700-1,000°C. Bosh area of the furnace where the burden starts to soften and melt - direct reduction of the iron [and other] oxides and carbonization by the coke occurs at 1,000-1,600°C. Molten iron and slag start to drip through to the bottom of the furnace [the hearth]. Between the bosh and the hearth are the tuyeres [water cooled copper nozzles] through which the blast - combustion air, preheated to 900-1,300°C, often enriched with oxygen - is blown into the furnace. Immediately in front of the tuyeres is the combustion zone, the hottest part of the furnace, 1,850-2,200°C, where coke reacts with the oxygen and steam in the blast to form carbon monoxide and hydrogen [as well as heat] and the iron and slag melt completely. Molten iron and slag collect in the furnace hearth. Being less dense, the slag floats on top of the iron. Slag and iron are tapped at regular intervals through separate tap holes. For merchant pig iron production, the iron is cast into ingots; in integrated steel mills, the molten iron or hot metal is transferred in torpedo ladle cars to the steel converters. Slag is transferred to slag pits for further processing into usable materials, for example raw material for cement production, road construction, etc. When charging the blast furnace, burden materials are added in layers. Charging is done either with an elevator in which a bucket is lifted up and set down on the top of the furnace o be emptied directly into the furnace [bell system] or by conveyor belts to the top of the furnace where materials are charged into a bin fixed to the top of the furnace [bell-less system] and from there into the furnace. By means of a rotating chute it is possible to achieve very uniform distribution of the charge materials across the furnace. The bell-less system has the additional advantage that less energy rich blast furnace gas is lost during charging. 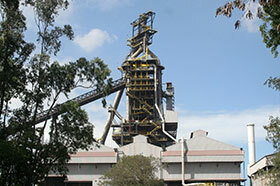 The blast furnace itself is a steel shaft lined with fire resistant, refractory materials. The hottest part of furnace - where the walls reach a temperature >300°C - are water cooled. The whole structure is supported from the outside by a steel frame. The blast furnace gas that leaves the top of the furnace is a mixture of carbon dioxide, carbon monoxide, hydrogen and nitrogen and has a calorific value between 3,200 and 4,000 kJ/m³. After cleaning, it is used for a variety of purposes, including heating of the hot blast stoves [“cowpers”], in iron ore agglomeration plants and for electricity generation. The credit for this gas is an important factor in keeping blast furnace operating costs low.